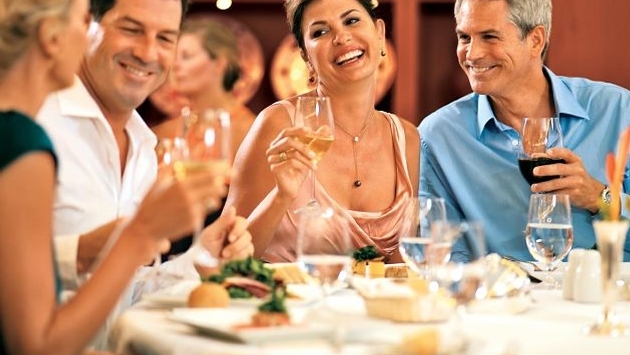 Aficionados of luxury cruising appreciate the finer things in life—and that includes an appreciation for fine wine. Paul Gauguin Cruises has recognized that affinity by bringing aboard four renowned wine experts who will conduct lectures and wine tastings on select 2017 and 2018 sailings. On the July 5, 2017, Cook Islands & Society islands voyage, Jeffrey Stambor, Director of Winemaking at Beaulieu Vineyard, will share his wine expertise. Stambor started his career at Beaulieu Vineyard in 1989 as Viticulturist/Enologist, combining a deep understanding of viticulture with intuitive winemaking. He believes his experience of having worked with legendary winemaker Andre Tchelistcheff was a unique opportunity to learn from a true visionary, and that relationship continues to shape his own winemaking philosophy. Stambor integrated his experiences and relationships into crafting world-class wines first envisioned by Georges de Latour, who established Beaulieu Vineyard in 1900. The creation, in 2008, of a self-contained, state-of-the-art winemaking facility dedicated solely to the production of Georges de Latour Private Reserve Cabernet Sauvignon ensures that the traditions of innovation and quality will continue. The path of renowned international winemaker Nick Goldschmidt of Goldschmidt Vineyards was paved by his passion for his craft, his drive to grow the perfect fruit for world-class wines, and his desire to push the boundaries of winemaking. A native New Zealander, Goldschmidt worked with Dr. David Jackson, author of The Wine Drinker’s Guide to the Vineyard, and Daniel Schuster, one of the pioneers of the New Zealand wine industry, who gave him his first taste of the industry that was to become his life’s work. In 1984, Goldschmidt moved to Australia to study viticulture. During breaks from school, he would return to New Zealand to work as assistant winemaker. After finishing his post-graduate degree, Goldschmidt continued to pursue grape growing and winemaking—first in New Zealand, then in California and Chile, with stints between harvests in wine retail in London. His long association with Simi Winery in California’s Sonoma County began when he was offered the position of assistant winemaker. Within a year, he was promoted to winemaker. Beginning in 1991, Goldschmidt was asked by LVMH (Simi’s parent company) to work with other wineries in their portfolio. This included wineries in Australia, Argentina, Italy, and New Zealand. In 1999, Simi joined Constellation Brands, and Goldschmit became head winemaker for Constellation’s Icon Estates Group. By 1998, he started his own brand, Forefathers, and added Goldschmidt Vineyards the following year. After 14 years with Simi, in 2003 Goldschmidt accepted the position of senior vice president of winemaking for all of Allied Domecq’s brands in California, Argentina, Mexico, New Zealand, and Spain. By 2008, Goldschmidt was ready to focus full time on his own brands. Today, he makes wine in seven countries, owns vineyards in three, and consults for 26 wineries around the globe. Goldschmidt sails on the January 27, 2018, Tahiti & the Society Islands voyage and will give talks on wine and conduct a wine tasting. Wine has always played a large role in the life of winemaker Steve Reynolds. His father was an avid wine collector, and Reynolds recalls that most family outings centered around wine. In fact, the family never had a meal where there wasn’t a bottle of wine on the table. Reynolds himself became an aficionado from the time he was a teenager, “tasting his way across Europe.” It was while he was pursuing a degree in dentistry at the University of the Pacific that he met his wife and began spending weekends in the Napa Valley. After one such weekend, Reynolds made the decision to move to the Napa Valley permanently. There, he opened a new dental practice, and his wife continued to work in her family’s insurance business. Reynolds enjoyed making wine on the side, however, and, 20 years ago, he decided to quit his day job and transform a dilapidated chicken ranch into a Tuscan-inspired winery. Basically self-taught, he studied at University of California Davis for two years to perfect his art. He credits South African winemaker Anthony Bell for seeing him through the hardest time in his winery’s evolution. Today, his winery—Reynolds Family Winery—has blossomed, producing three groundbreaking brands totaling roughly 7,000 cases of wine a year. During the February 10, 2018, Tahiti & the Society islands voyage, he will lecture on wine and lead a wine tasting. Jessica Vaitiare Chin Foo, co-founder of Gauguin Wines, gives winemaking a Polynesian twist on the June 23, 2018, Tahiti & the Society Islands sailing. French American from Tahiti, Chin Foo has split her time between Davis, San Francisco, and Tahiti. She graduated from University of California Davis in 2004 from the Agriculture and Resource Economics department with a Bachelor of Science in Managerial Economics. And she earned a Master of Business Administration from the New York Institute of Technology in 2008. Chin Foo worked in French trade under the French Embassy and in renewable energy politics as an advisor to the Minister of Energy of French Polynesia. In 2013, she co-founded Garba Wine Company with Diego Barison. The winery specializes in indigenous European grape varieties. To enhance her knowledge and training as a wine professional, Chin Foo received her Introductory Sommelier Certificate from the Court of Master Sommeliers. Her dynamic leadership and talent for business development enabled the smooth acquisition of Putah Creek Winery and the successful opening of its downtown Davis tasting room. Chin Foo’s passion for wine and art inspired her to create the Gauguine brand of wines, speaking to the elegance of diverse women and marrying high-quality winemaking with art. She strives to release wines with character from French varietals, mostly from the Rhône region. The first vintage was released in 2013 and is found in northern California and in French Polynesia. Chin Foo recounts her journey through the wine industry in Davis, California, and offers a tasting of Gauguine and Putah Creek Wines during the voyage. For more information on wine voyages with Paul Gauguin Cruises, visit pgcruises.com.